We change the way you view life. Trust Windows offers a free-estimate on both new installations and window replacements. Upgrade to energy efficient windows today and receive free financing. Contact us to schedule an in-house consultation at your convenience and learn more about the process today. At Trust Windows, we provide high quality, custom-made windows that are cut to precision. With a commitment to excellence and reputation for durability, Trust Windows maintains premium craftsmanship throughout the manufacturing process. Quality results start with high quality components. 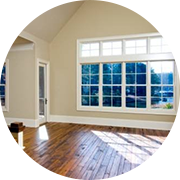 Trust Windows takes a professional approach to window replacement and new window installation. Through premium craftsmanship and acute attention to detail, we are able to bring a homeowner’s design concept to fruition. We treat your house as our own and achieve top quality results. Customers can trust that our windows are a class above the competition with superior warranties that exemplify our lifetime commitment to customers. At Trust Windows, customer satisfaction is our main objective and we take pride in our lifetime commitment to go beyond the point of sale. Copyright 2017 Trust Windows Corp. All Rights Reserved.